Located 21 miles north of junction highway 1 & 3. 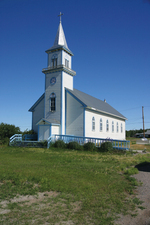 Known to the aboriginal inhabitants as "Zhahti Kue" or mission house place, after the fine old church which still stands, Fort Providence is the historic fur trade crossroads where the Mackenzie River begins its journey to the Arctic. 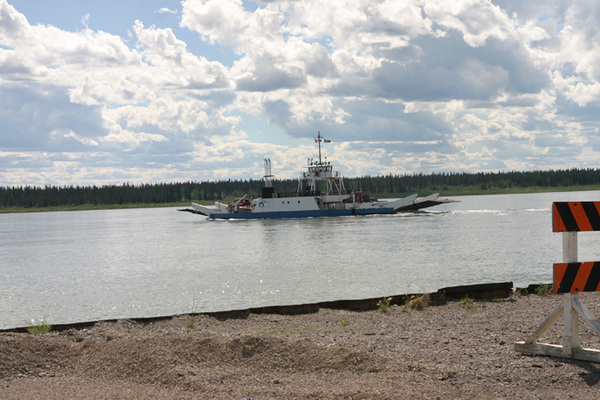 There is a ferry that takes vehicles over the river from 6 AM until midnight. 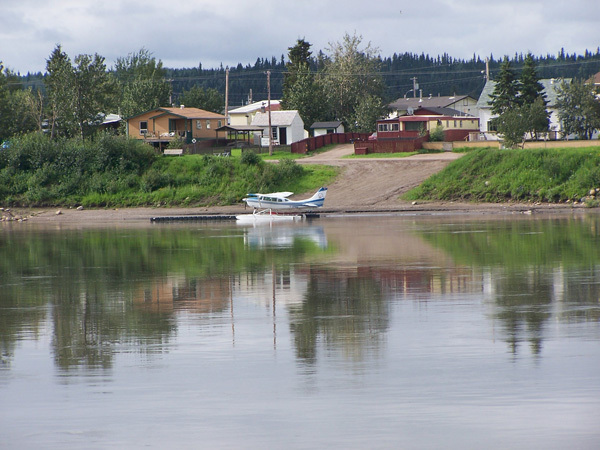 The nearby campground has 33 sites and there is a service center/motel complex and an inn located in town. 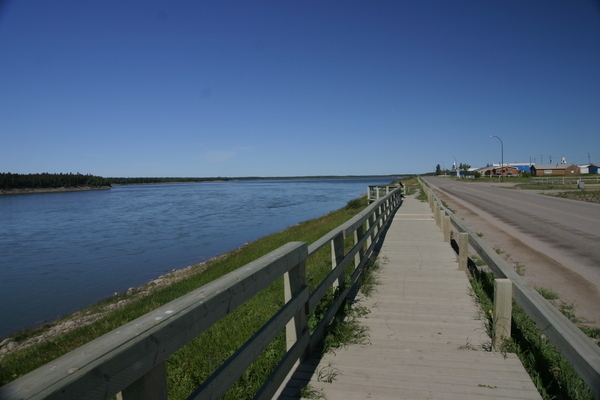 Fort Providence is home to many Slavey Dene and Metis artisans who produce paintings and prints, carvings, traditional moose hair tufting and fish skin crafts and beadwork. In August, Mackenzie Days provides exciting events for the whole family with war canoe races, dances, singing and juggling.